​What is Hyperbaric Oxygen Therapy (HBO)? Hyperbaric oxygen (HBO) therapy enhances the body’s natural healing and strengthens the immune system. 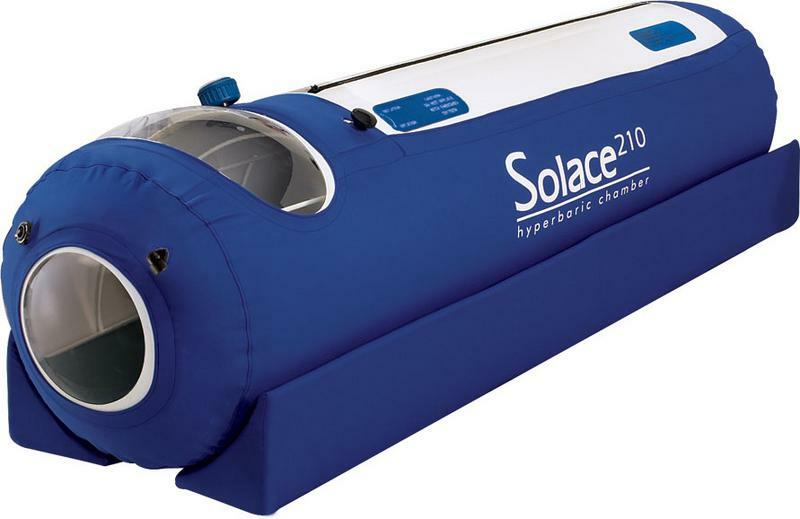 ​During HBO therapy, you breathe 100% pure oxygen while inside a clear, pressurized chamber. The air pressure inside a hyperbaric oxygen chamber is about two and a half times greater than the normal pressure in the atmosphere. ​This “hyperbaric” (or high pressure) dose of oxygen helps your blood carry more oxygen to organs and connective tissues to promote wound healing. It also activates the white blood cells to fight infection. ​IS Hyperbaric Oxygen useful as a Cancer Treatment? Hyperbaric Oxygen Therapy HBO or HBOT (HBO2T) has its fans and uses as an aid in Cancer Treatment. 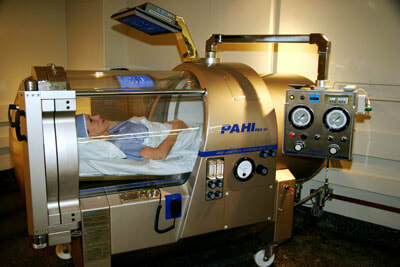 The argument runs that using a Hyperbaric Chamber (which is designed to increase blood oxygen levels and is proven to work in this way with a number of illnesses and ailments), will overcome one of the main influences of cancer: Namely, that cancer exists in a low-oxygen environment and plentiful oxygen can kill it off. HBOT has also been shown to significantly reduce inflammation in the body and this can be a precursor to cancer. Thus it has the potential to be a simple ´alternative cancer treatment´. Here we look at the use of Hyperbaric Oxygen and cancer in a little more detail. HBOT chambers to treat deep sea divers suffering from decompression sickness (the bends) were first developed by the military in the 1940s. Pilots who climb or lose altitude too quickly and miners who surface too quickly may also experience this condition. Decompression sickness involves a dangerous loss of oxygen in the blood stream and can be both painful and fatal. 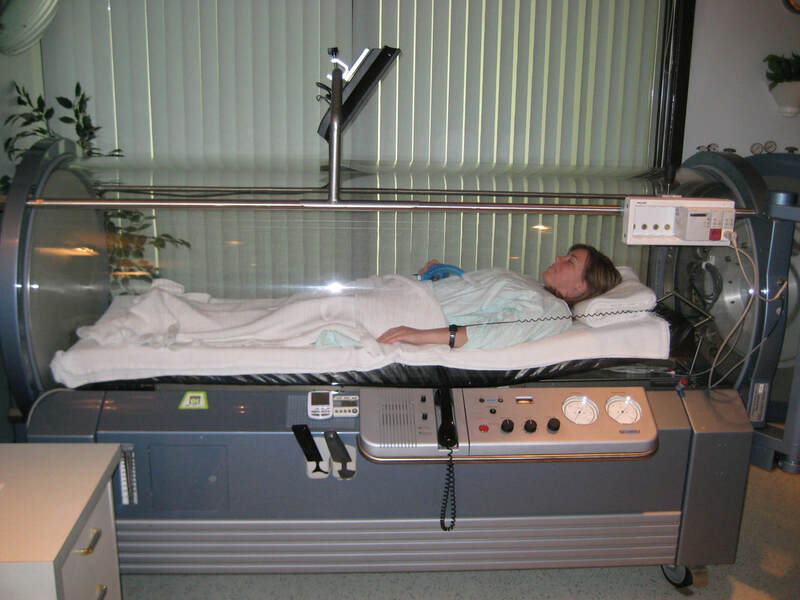 By the 1960s it was realised that HBOT might be appropriate to other conditions and illnesses and it was used for example for carbon monoxide poisoning cases and other oxygen-depletion scenarios such as gangrene. It was thus shown to increase, not just blood oxygen levels, but tissue oxygen and improve tissue healing. There are now many other illnesses and conditions for which the idea of increasing cellular oxygen load is accepted as having significant benefits – for example ulceration (caused by radiotherapy, diabetes and so on), brain damage after accidents and plastic surgery. And, in some countries, cancer. In 1931 Otto Warburg won a Nobel prize for explaining that oxygen was the enemy of the cancer cell. It kills them. Indeed, cancer cells thrive in an environment where oxygen is depleted (Hypoxia). The abnormal blood supplies created by tumours feature ´hypoxic pockets´ – where there is no oxygen and lower pH (a more acidic environment). These hypoxic pockets seem to protect the cancer cell from the outside world, leaving it alone to burn glucose (glycolysis) and flourish. The pH inside such tumours is highly acidic – around 6.2 pH. Since that time many alternative cancer experts have pondered over ways of delivering oxygen to cancerous tissue in the hope of killing the cancer cells and restoring the tissue to a normal state. In our interview with Dr. Contreras of The Oasis of Hope Hospital in Mexico, he told us how they were using a form of dialysis to deliver ozone to the tissues. (Note – while oxygen is a double atom molecule O2, ozone is a triple atom molecule O3). He claimed that the system was in early stages of development, but did seem to extend the lives of cancer patients already tested, by months if not by years. Today there are well respected centres operating inside the USA that use ozone to treat cancer, as a part of their offering. To quote from a 2012 review on the previous 8 years research into HBOT (http://www.ncbi.nlm.nih.gov/pmc/articles/PMC3510426/): ´research has shown that HBO can be inhibitory and reduce cancer growth in certain cancer types´. Believe it or not but oxygen has officially been declared a drug by the FDA in America who have stated that it must not be prescribed to treat anything other than those illnesses approved and for which there is evidence. For example, decompression sickness, anaemia, gangrene, skin grafts, soft tissue damage, burns, abscess in the head or brain, osteomyelitis. In effect, they have banned the use of Hyperbaric Oxygen to treat cancer. But then in 2011, they have taken steps to ban the use of intravenous vitamin C compounds, which can also increase cell oxygen levels! They don´t seem to want you oxygenating your cancer cells at all. Will eating glutathione-rich vegetables be banned next? Could Oxygen therapy make matters worse? This was an unproven theory at one point but a 2012 review by Professors Ingrid Moerr and Linda Stuhr has shown that there is no foundation in research reviews from 2004 to 2012 that HBO acts as a stimulator of cancer or promotes recurrence. HBOT is currently used with cancer patients to reduce inflammation in bones and adjacent tissues where radiotherapy may cause damage – it seems to have an ability to reduce secondary radiation damage after radiotherapy. For example, one research study (HYPON) showed that the use of HBOT could reduce jaw bone damage in patients given radiotherapy for head and neck cancers. Radiotherapy damages surrounding tissues, not just cancer cells. ´Hyperbaric Oxygen therapy effectively treats long-term damage from radiation therapy´on the UCLA Health website (http://www.uclahealth.org/body.cfm?id=502&action=detail&ref=675) and even in the UK where HBOT is slowly being added to the repertoire of orthodox medicine. At the end of this article you will see that the Royal Marsden were asking for recruits to their phase III clinical trial – it was for people who experienced side effects after radiation for pelvic cancer. There is also evidence that HBOT may help people with lymphoedema following breast cancer and lymph nodule surgery. Quite simply, oxygen therapy aids healing and patients in research talk of reduced swelling and less pain, with a softening of the damaged tissue. People can be treated individually or in groups depending upon the size of the chamber. Inside, the pure oxygen is administered at pressures 1.5 to 3 times normal atmospheric pressure. Treatment time is usually about 90 minutes and only cotton clothing may be worn. There are treatment centres throughout the UK you might contact the British Hyperbaric Association. Side effects may include claustrophobia, fatigue, headaches, ear problems and nausea. It is occasionally possible the myopia (short sightedness) occurs, and people with lung disease may experience a collapsed lung, heart patients may have symptoms worsened. It is not recommended for pregnant women. Cancer patients taking drugs such as doxorubicin, cisplatin or bleomycin are advised not to use HBOT. Oxygen therapy, ozone therapy, the use of hydrogen peroxide and even the simple ingestion of more foods containing glutathione all have one theoretical aim: To deliver more oxygen to the mitochondria inside the cell. It is the mithochondria (the power stations) that cease their normal job of burning carbohydrate in the presence of oxygen to produce energy (the Krebs Cycle) in cancer cells. Instead cancer cells produce energy by inefficiently burning glucose in the absence of oxygen in the main cytoplasm. This ´glycolysis´ typifies a cancer cell. While the theory is great, (get oxygen back inside the cell and the cancer will die) the research to date has been virtually non-existent. The primary problem, as Contreras told me, is the delivery system. Increasing the oxygen levels in the blood does not necessarily increase them in the cells. Also, the latest research is showing that even when you get oxygen back inside the cells, it doesn´t particularly ´re-ignite´ the mitochondrial power burners. Researchers in Alberta are looking at a compound called DCA, which they believe can do this. In mice with metastatic cancer and using a Ketogenic Diet and Hyperbaric Oxygen in combination and alone, with control groups, the researchers reported that a “Ketogenic Diet alone significantly decreased blood glucose, slowed tumour progression and increased mean survival time by 56.7% in mice with systemic metastatic cancer. While Hyperbaric Oxygen Therapy alone did not influence cancer progression, combining the Ketogenic Diet with Hyperbaric Oxygen elicited a significant decrease in blood glucose, tumour growth rate and a 77% increase in mean survival times compared to the controls. So let us be very clear. These highly qualified researchers (Angela M Poff, Csilla Ari, Thomas N Seyfried and Dr Dominic P D´Agostino) conclude that on its own Hyperbaric Oxygen had no effect on the oxygen-devoid, acidic hypoxic pockets nor on the glucose burning cancer cells. But in combination with a Ketogenic Diet, where the body is starved of glucose, Hyperbaric Oxygen had a significant complementary effect, and it increased survival times. Certainly, that is also what is being shown with chemotherapy. On its own HBOT does nothing. With Chemo, it produces better results AND less side-effects. Conditions having a long duration or frequent recurrence rate which cause a decrease in the blood supply to a bodily organ, tissue, or part by the constriction or obstruction of the blood vessels. Conditions resulting from radiation therapy affecting normal, non-cancerous cells including blood vessel, muscle and nerve cells. Much of the oxygen content in the radiated tissue is lost making it difficult for the wounds to heal. Conditions having a rapid onset followed by a short and severe course which cause a decrease in the blood supply to a bodily organ, tissue, or part by the constriction or obstruction of the blood vessels. ​Composite list of conditions approved by UHMS, Medicare and major health plans. As with all procedures, insurance benefits are determined by the health plan’s hyperbaric oxygen therapy policy and the patient’s specific health benefits. 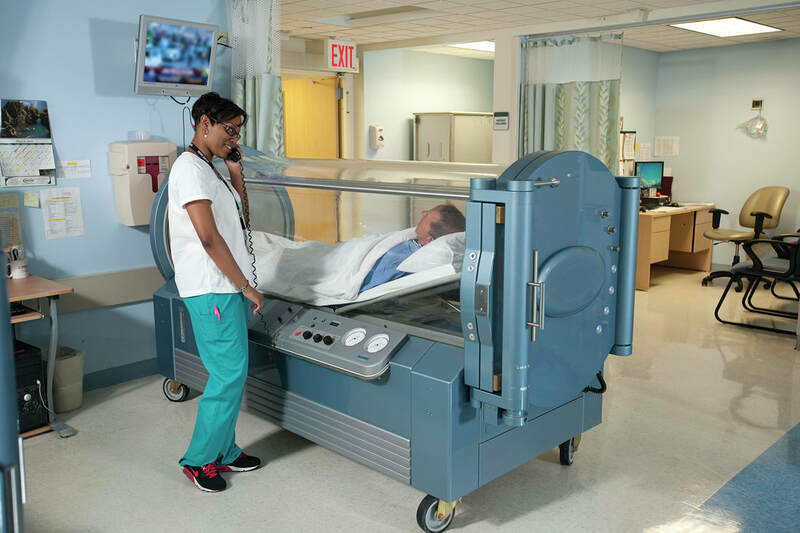 Potentially Therapeutic “Off-Label” UsesIn many instances, patients with conditions not on the “approved” list have been reported to benefit from hyperbaric oxygen therapy. It’s likely new conditions will be added to the list of approved indicationsas additional research studies are completed. Until then, the use of hyperbaric oxygen for an indication not on the approved list must be considered an “off-label” use of the therapy. HyOx and its medical staff adhere to guidelines established by the UHMS Ethics Task Force concerning the potentially therapeutic, off-label use of hyperbaric oxygen therapy. ​What makes hyperbaric oxygen therapy so valuable? ​Humans depend upon the consumption of oxygen all the time. Most atmospheric air is comprised of roughly 21% oxygen and, of course, oxygen is necessary for the production of cellular energy within the mitochondria of every cell. The use of pure 100% oxygen in a high pressure atmosphere (HBOT) has been shown to accelerate the healing process. The hyperbaric chamber has pure oxygen administered at pressures 1.5 – 3 times the normal atmospheric pressure with treatment times ranging from 30-90 minutes. Administering oxygen at higher pressures causes up to 20 times more oxygen to be absorbed by the blood and transferred to injured organs and tissues. This speeds healing and recovery time in addition to other benefits. Do I need a doctor to get HBOT? Breathing in 100% (pure) oxygen under increased pressure, called HBOT, allows extra oxygen to be taken up by the bloodstream and dissolved at a far greater rate. This extra oxygen can help where healing is slowed down by infection or where blood supply is limited by damage to the tissues. But, 100% oxygen is considered a drug by the FDA and one needs a prescription to use it. ​Mild hyperbaric therapy (mHBOT) has shown significant results and uses around 95% oxygen in a 1.3-1.4 atmospheric pressure. This is a much lower cost treatment that one could do on their own – without a medical prescription – and has little to no risk with great benefits. What are the health benefits of HBOT? • assists healing by raising tissue oxygen levels to normal in areas where they are reduced through illness or injury. • encourages new blood vessels to grow and carry additional blood. • increases the ability of the body’s defense mechanisms to fight infection and kill bacteria. • helps reduce any swelling that may occur around the area. Any condition which results in inflammation in the body can benefit from HBOT. HBOT increases the dosage of oxygen and delivers more O2 to damaged areas in the body and stimulates the healing process. Oxygen is one of the most natural antibiotics and it controls over 8,000 genes. By the way, did you know that 20 sessions of hyperbaric therapy increases our stem cells eightfold? A 2006 study, in Japan, involving patients with brain tumors receiving radiation and chemotherapy experienced much longer survival times and reduced side effects when using HBOT as a complimentary treatment. Another 2007 study showed extended survival times and reduced side effects using HBOT with radiation treatment in patients with glioma tumors. Famous cell biologist and cancer researcher Otto Warburg discovered that cancer cells have an altered metabolism and are unable to produce energy through cellular respiration. The mitochondria in each cell produce the energy that drives the cellular functions. Under normal circumstances, the majority of energy is derived in the presence of oxygen in a process called aerobic metabolism. Cancer cells have lost this ability to produce energy through the Krebs Cycle and instead drive all of their energy from substrate level phosphorylation through glucose fermentation. Other researchers, like Dr. Thomas Seyfried, found that cancer cells run off of both glucose and amino acid (glutamine) fermentation. Both of these processes are anaerobic and don’t use oxygen. The HyOx team will review the following areas with you prior to treatment to ensure your treatment compatibility and safety. Before treatment, you will be asked to change into 100 percent cotton scrubs that help to ensure safety and cleanliness inside the chamber. No articles containing nylon or polyester or watches, jewelry, hearing aids, contact lenses, and prosthetic devices can be worn inside the chamber. Eyeglasses are acceptable. Lockers are provided, but please leave all valuables at home. Also, personal cleanliness is important to the effectiveness of the treatment. Wound dressings are left on during treatment. Notify the HyOx team if you have a cold or symptoms of a cold or flu — including fever, cough, sore throat, runny nose, fever blisters, cold sores, nausea, vomiting, diarrhea, or general body aches. Being sick can affect your ability to clear your ears during compression and decompression in the chamber. It’s advised to postpone treatments until symptoms have subsided. Make-up, hair spray, wigs, perfume, nail polish, skin lotions, and shaving lotion containing a petroleum (Vaseline) or alcohol base are prohibited inside the hyperbaric chamber. Deodorant should not be used prior to entering the chamber, although it can be applied post-treatment. If you are a diabetic on insulin, it is important to monitor blood sugars. Also, report any symptoms of low blood sugar to a HyOx team member. If this happens once treatment begins, sugar, orange juice and jellied sugar are available and can be served inside the chamber. Your complete drug history will enable us to confirm your viability for treatment and if changes in either medication or schedule are necessary. Please note some medications are not compatible with hyperbaric oxygen treatment. Nicotine is incompatible with hyperbaric oxygen therapy because it diminishes your body’s ability to absorb oxygen by constricting the blood vessels. For best results, please stop smoking until your hyperbaric treatment regimen is complete. How do the hyperbaric oxygen therapy treatments feel? Although hyperbaric oxygen therapy is painless, you may have a sensation of fullness in your ears as your eardrums respond to the changes in atmospheric pressure during the compression (descent) phase. The feeling is similar to traveling on a mountain road, changing attitudes in an airplane or changing depths in underwater diving. Physics: The eardrum is normally flat while you’re at ground level. It tends to bow inward during compression and unless you clear your ears as taught prior to a treatment, fullness will be felt. By swallowing, moving your lower jaw or blowing out while your nose is pinched, air is forced into the middle ear and pressure on the eardrum is relieved. The air is forced behind the eardrum via the Eustachian tubes that connect the middle ear with the throat. As the hyperbaric chamber’s pressure increases with “descent,” patients should expect the chamber to feel stuffiness or warmth for approximately five to seven minutes. The air inside HyOx’s hyperbaric chamber is temperature-controlled for comfort once the treatment pressure is reached. Once the treatment is complete, the expansion of the gases during decompression causes the chamber’s air to become considerably cooler. The diagnosis, the symptoms and the patient’s overall condition determine our treatment protocol. For most patients, the average number of hyperbaric oxygen treatments is 30-60. Of course, this number varies according to a patient’s condition, response to therapy, and their commitment to consistent treatment sessions. The treatments will be administered on consecutive days Monday through Friday until complete. For best results, it is of utmost importance that no appointments are missed. If needed, your referring physician or HyOx will verify your treatment schedule to your employer. Are there side effects to hyperbaric oxygen? The most common side effect that may occur is middle ear barotraumas. Clearing the ears during compression minimizes the risk of barotraumas to the ears and sinuses. Although rare, other side effects may include oxygen toxicity (poisoning), claustrophobia, temporary changes in sight, and accelerated maturation of cataracts. What are the results of hyperbaric oxygen therapy? As with all medical treatments, results of hyperbaric oxygen therapy vary from patient to patient depending on the severity, duration and the patient’s commitment to the treatment regimen. Results also can depend on whether hyperbaric oxygen therapy is used as a primary treatment or as an adjunctive treatment to surgery or antibiotics. Results also are dependent on your commitment to attend all consecutive treatment sessions. As with all therapies, there are no immediate results. The number of prescribed treatments is evidence-based and must be completed for the best clinical outcome.